Shen Yanxiao was frightened after hearing everything Yun Qi had said. The Warlocks actually found the G.o.d who gave up his life to save the whole world. And they actually dared to disrespect that G.o.d! "That’s too much!" Ye Qing, who had been quiet the whole time, could not take it anymore and let out the anger building up inside him. By sealing the pa.s.sage between the Underworld and the surface, that G.o.d had eliminated all possibilities of the devils attacking the surface; that G.o.d could be said to have saved the world. Yet, in the end, he was actually taken as a tool for experimentation by a group of shameless humans. "They have no humanity at all!" Even a person with good temper would not be able to tolerate and endure the anger deep inside their hearts upon hearing this. Besides the Devil Race, the rest of the races firmly respected the G.o.d Race. Even if there were a heartless G.o.d among them, it would still not stain the status of the G.o.d Race to these several races. Every being in this world was grateful to the G.o.d Race and revered them greatly. For someone to disrespect them meant that they had long ago abandoned their firm beliefs. “To achieve their goal, they will do anything, whether to a G.o.d or a devil. They had long ago abandoned their humanity. For them, these beings are only tools and subjects they can use for experiments.” Yun Qi grimly smiled. He could not describe how surprised and sad he was when he saw the frozen G.o.d. "I’d long ago become downhearted after learning of the death of my wife and children, but I knew that I was not strong enough to fight them; therefore, I had no other choice but to partic.i.p.ate in getting that G.o.d’s soul.” A trace of sneer was visible in Yun Qi’s mouth. All his previous concern towards them that time had disappeared and was replaced by his thirst for vengeance. “Little Xiao, you just said that they have successfully integrated the seven major races, and Lan Fengli is the proof of that. I believe the reason why there’s no G.o.d Race fused in Lan Fengli is because they had lost it. They had lost the soul of the last G.o.d!” Yun Qi clearly knew his former companions. They would absolutely never give up in their experiment. For them to integrate only the seven races meant one thing. The only possible reason for them to achieve just that point was that they had lost the last G.o.d’s soul. Since they had lost the G.o.d’s soul, they could no longer do their original desire of integrating the eight major races together. There was only one last G.o.d left in this world. Once they lost it, they could no longer find a subst.i.tute for it anymore. Yun Qi laughed. There were tears falling from his eyes. He was able to get his vengeance, but in return he lost everything. And the worst of all, he couldn’t retrieve everything he lost ever again. “Master...” Shen Yanxiao felt sad looking at Yun Qi. Her heart felt like it was being pinned with needles. Yun Qi lowered his head, his eyes starting to be filled with tears. 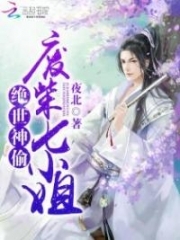 "Master, I don’t know if you have heard of the Broken Star Palace?” Shen Yanxiao asked after remembering one type of Forbidden Technique: The Transfer of Dou qi and Magic. Ruan Yingzhe: How dare you! You don't know us? Hmp! Let's see if you will still not recongnize us after we kill you and your love ones! Yun Qi: But I never said I don't know you! It's just that a certain someone cut my line to make it look like I did! And how can you even talk? You are supposed to be dead! You're Read The Good for Nothing Seventh Young Lady Chapter 801 online. If you find any errors or translatation mistakes, please let us know so we can fix that as soon as possible. Current Time is 26-Apr-2019 16:38:48 PM.